If your community organisation is seeking sponsorship, we would love to help! Crop Smart has a comprehensive range of crop protection products. Browse all our crop solutions. The new instructions are now in place, and old 2,4-D labels have been suspended. Crop Smart is a manufacturer and distributor of high quality agricultural chemicals and adjuvants. Our promise to farmers is to provide better crop protection. Better quality and better prices from a company you can trust. Our new app makes partnering with us simple! 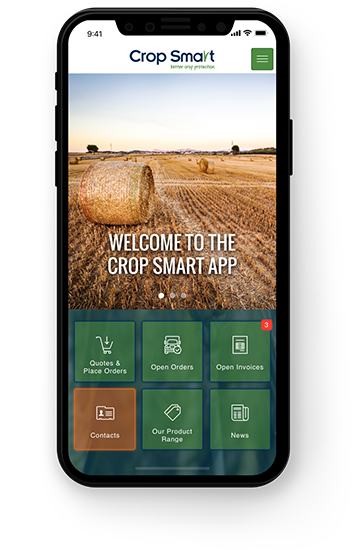 Manage all your Crop Smart transaction details in one place, access key information, receive product deals and order direct.